Leeds Business School won the 21st Cranfield Regatta on 6th- 8th July. The Leeds team were level on points with the “Cranfield 2” boat, but won on countback after winning the final race of the regatta. This was Leeds ‘s first showing at the top of the MBA fleet, having come 9th in 2011. 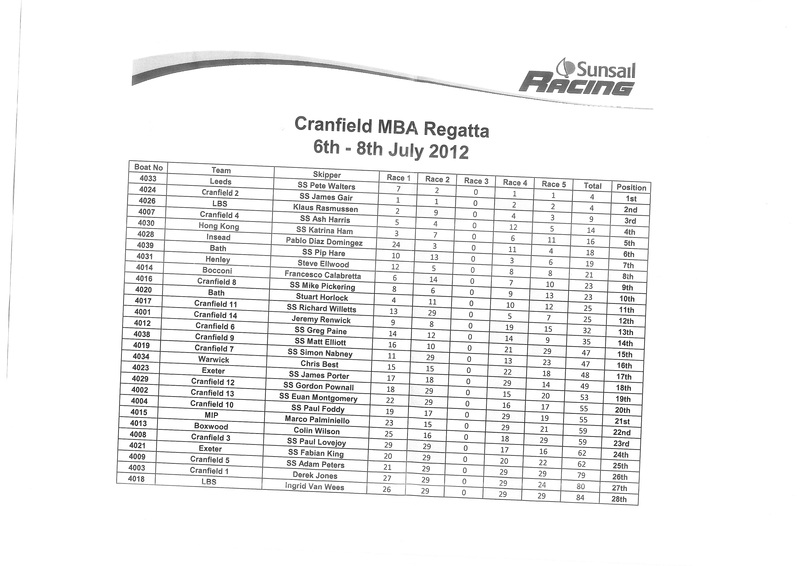 Cranfield matched their 2nd place from 2011, missing by the thinnest of margins the chance to win their own regatta. 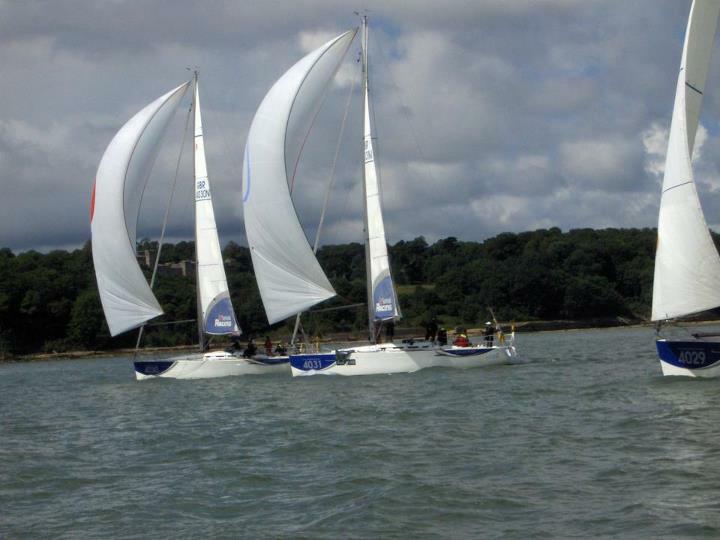 Both the leading teams were skippered by paid “Sunsail” skippers, provided by the organisers. The first crew home with a skipper from the business school were London Businesss School, in third. The top five were rounded out by “Cranfield 4” and a crew from Hong Kong Business School in 5th. Top ranked Insead came 6th. The Regatta is sailed on matched 42 ft Beneteau F40s, in the Solent, off the south coast of England. The weather was wet.